The WhatsApp for work, Guild allows professionals to communicate directly, simply, and efficiently on a private, ad-free and GDPR compliant messaging app. Hosts create invitation-only Guilds, within which members can start group conversation threads as well as send direct messages. A Guild is a private professional messaging app that meets new standards, yet is as easy to use as WhatsApp. It is advertising free, and GDPR compliant. What problems does Guild solve? WhatsApp is a personal app, and not fit for professional use. Even its counterpart, WhatsApp Business, does not allow organizations to communicate in a GDPR-compliant way. 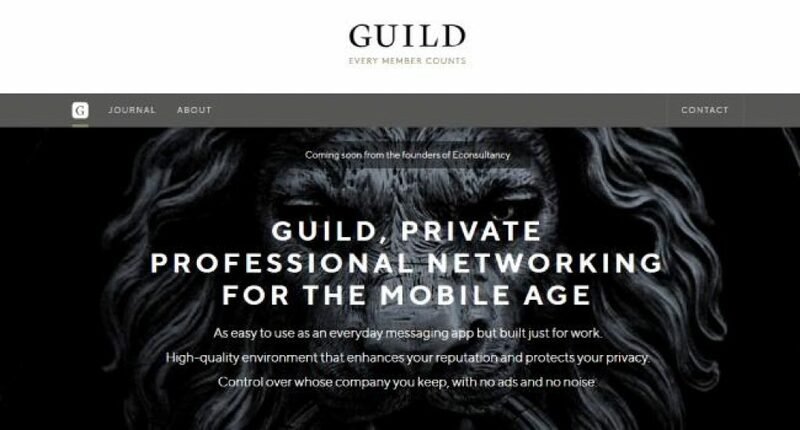 Guild provides the ease of instant messaging, as well as meeting the professional standards of high-quality networking and communication. Ashley and Matthew co-founded Econsultancy in 1999, which they successfully sold in 2012 to Centaur Media for £24m. Ashley is a highly influential and connected figure in digital and marketing, and Matthew an experienced technical and commercial entrepreneur, most recently CEO at Ably. Matthew co-founded Econsultancy, a global digital marketing publishing, training, and research business, with Ashley Friedlein and exited via a £25m trade sale to Centaur Media plc in 2012.